It’s always more fun for me when my customers tell me I can do what ever I want with a design. 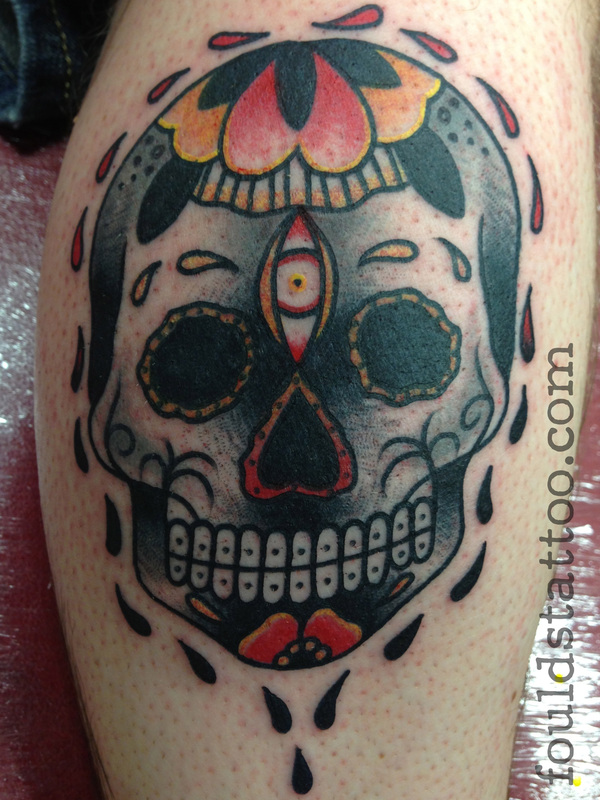 Only criteria for this one was that it was a sugar skull, He left the rest of it up to me. Fun!